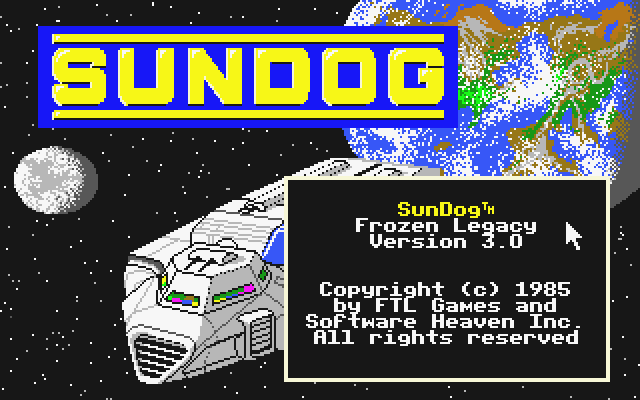 You just inherited a one-man star freighter - the SunDog - from an uncle who died under mysterious circumstances. You also inherited the contract he signed to aid in the building of a colony for a religious group. You have three tasks to perform: find the location of the colony; find, buy, and deliver goods needed for its construction; and locate the cryogenically-frozen colonists needed to populate the colony.